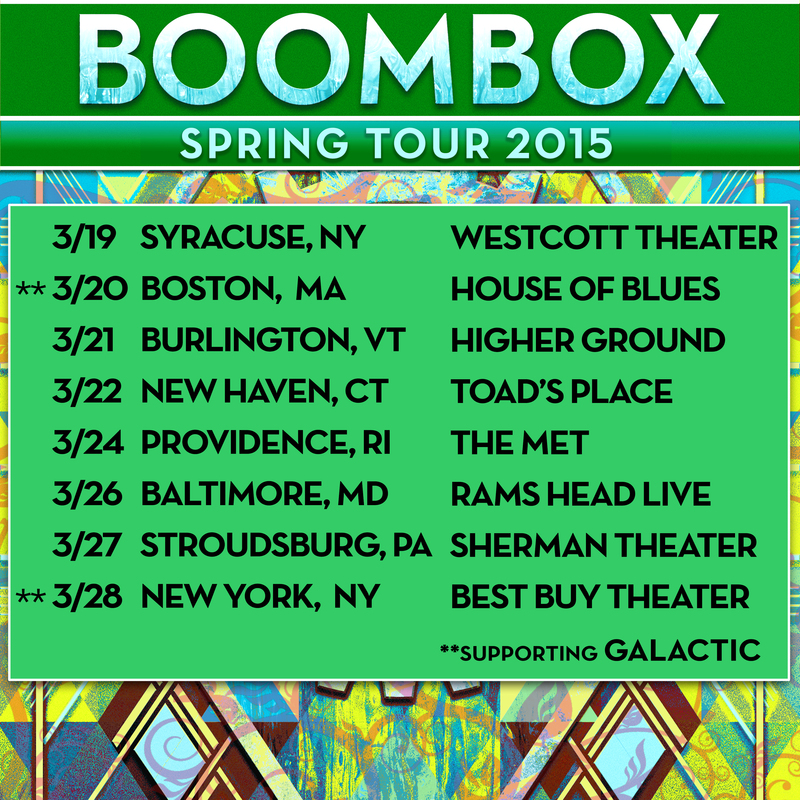 We’re very excited to announce the first leg of our 2015 SPRING TOUR! 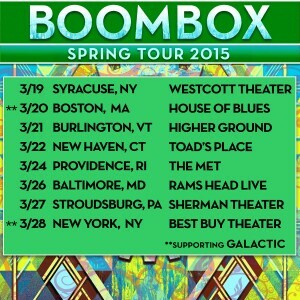 With stops including: Syracuse, Burlington, New Haven CT, Providence, Baltimore, Stroudsburg, and supporting Galactic in Boston and NYC. We’ve got some more big announcements about the rest of this tour coming in the next weeks, so stay tuned!